Of course we're talking about climate change! Is the science really settled? Is there really a scientific consensus? Well, the answer is an unequivocal it DEPENDS! Let me explain further. In reality, climate change is a huge field. To say that it's settled or that climate change is a fact is almost like saying Astronomy is settled. It's a completely meaningless statement. In Astronomy there are some things that are known (e.g., the universe is very old, some 13.7 billion years); but there are many things that are unknown or up for debate (e.g., the nature of dark energy or whether Pluto is really a planet, LOL). To make a blanket statement that the science of Astronomy is settled fact would, of course, be entirely meaningless. In a similar vein, suggesting that the debate is over and the science is settled regarding climate change is likewise misguided. If the entire field of climate change is settled science then there would be no need to provide further funding for climate research and there would only be one climate model instead of over 100 different models. To the contrary, while there are specific aspects of climate change that are conclusive, there are also many areas which are clearly not settled and don't have a scientific consensus. So below is a short list of what is and isn't settled regarding climate change. NOTE: this is just a very tiny sampling just to make my point and is not meant to be comprehensive by any means. 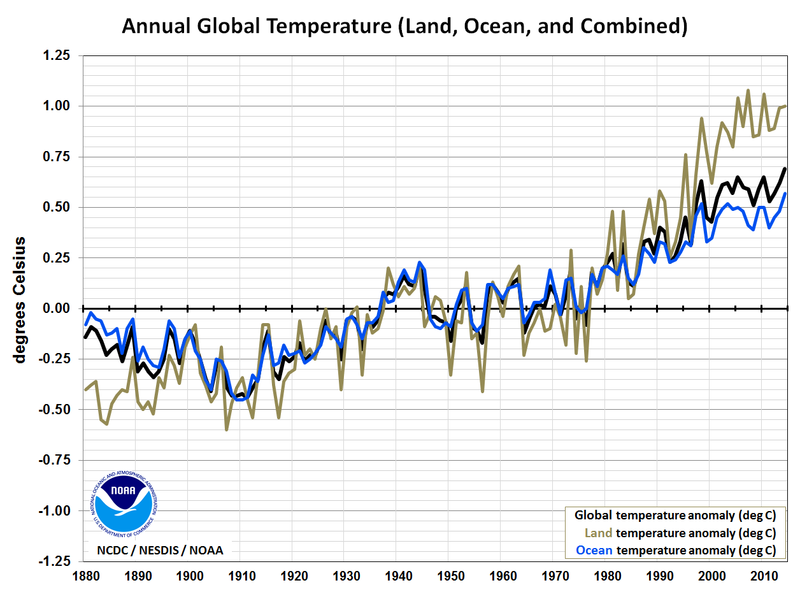 1) The average temperature of the earth has increased in the last century. Yes, global warming is real. 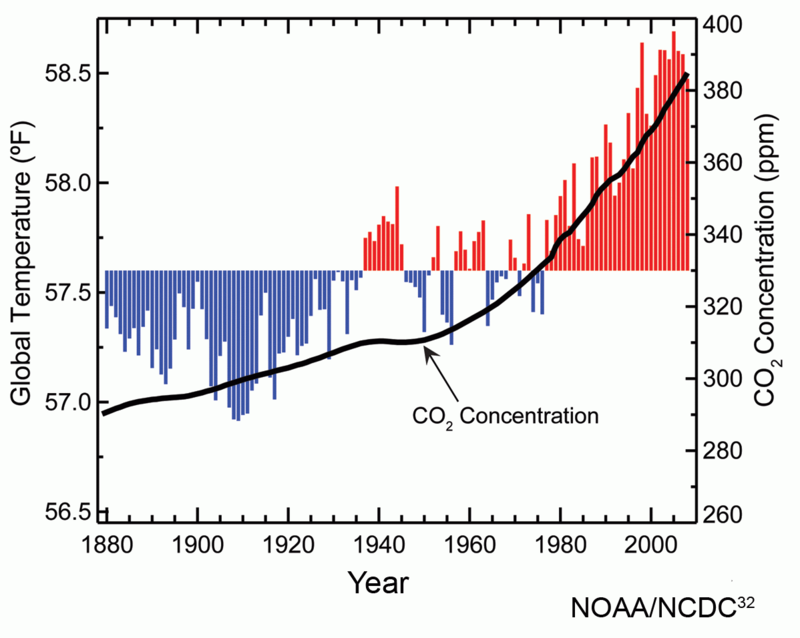 2) Carbon dioxide concentration has increased over the past century. 3) It is likely that a portion of the warming in the last 50 years can be attributed to human activity and the burning of fossil fuels. This is because of the known relationship between CO2 and the absorption of long-wave radiation that would normally escape the earth's atmosphere. 4) Sea ice extent measured on a global scale has been slowly decreasing as a result of warming. 5) Sea levels the last 30 years have been rising at a rate that is slightly greater than the background rate because of such warming. 6) Whether there will be mass extinctions. 7) Whether we are currently at the optimal temperature for the Earth. 8) Exactly how to reduce CO2 emissions without causing other environmental issues. Hopefully, the point is clear. There are numerous aspects of climate change that are not settled and require further research. Some of these issues are highly debatable & controversial. Those who refuse to recognize that fact and are eager to kill any further discussion regarding climate change are actually the ones squashing the scientific process. Furthermore, while there are those on the fringe who erroneously reject the observation that the earth has gotten warmer, on the other side of the spectrum there are some who wish to extinguish any discussion of the unsettled topics listed above, issue their own apocalyptic projections, and quickly label those who object as "deniers". Please keep in mind that the 97% consensus of climate scientists is very specific and only pertains to the earth getting warmer and humans being at a minimum partly responsible. It is not applicable to the unsettled topics within climate science. There are not 97% of climate scientists who agree that there will be more tornadoes, or that the warming will be catastrophic. Unfortunately, some politicians run with that 97% figure and erroneously apply it to other facets of climate change implying those aspects are settled. This is known as a misrepresentation logical fallacy. In a similar vein, the phrase "climate change denier" is a completely meaningless phrase as well, unless "climate" and "change" are predefined. For example, which aspect of climate is being denied? 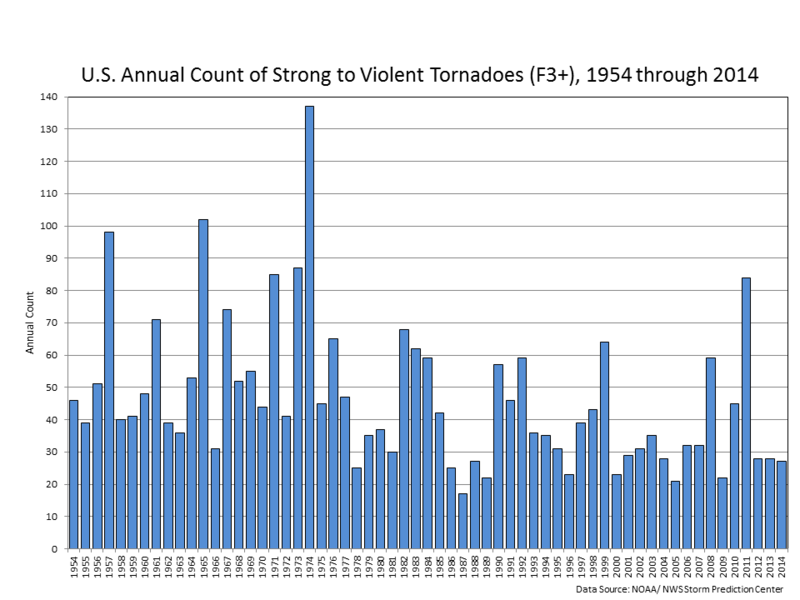 Temperature, precipitation, drought, hurricane frequency? What change is being denied? Past observed change, model predicted future change, forecast changes issued by extreme activists? What magnitude of change is being denied? Is it the change in the average or the standard deviation? What cause of the change is being denied? Human, natural? The need for specifics is important, and blanket statements like "climate change denier" are hollow. Lastly, while there are some radio talk show hosts who mistakenly treat global warming as a hoax invented by the Chinese, there are also fringe climate change activists whose views and/or predictions are also equally extreme. For example, one famous NASA scientist back in 1989 predicted New York would be partly under water by 2020 and today is predicting only a few more decades of habitability for some coastal cities. One Nobel Prize winner who made a popular movie predicted a 20-foot sea level rises in the "near future". Another publication warned that 25% of all species could be extinct before 2050 because of global warming. The media loves the hype too as these extreme views seem to get plenty of press coverage, especially when there's a significant weather event. However, to think that such outlandish & irresponsible predictions represent some scientific consensus view and can not be challenged without the risk of being labelled as a "denier of science" is absurd. Should those extreme views be given a free pass without contest or equal press coverage? Of course not, and in these cases the challengers are not science deniers, but rather junk science deniers which is a good thing as it preserves the scientific process.